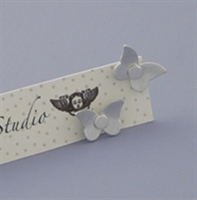 Butterfly-shaped studs handmade in recycled aluminium. 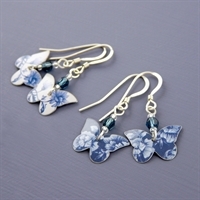 Butterfly earrings in our pretty denim tin with Swarovski crystal detail. 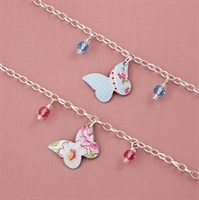 Child's butterfly bracelet with Swarovski crystals detail. 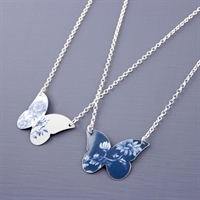 A large butterfly necklace in our pretty Denim printed tin. 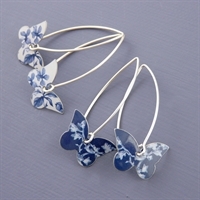 Tiny butterfly earrings on medium earwires in our Denim print. 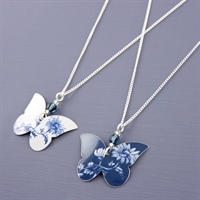 A large butterfly necklace in a pretty Denim printed tin. 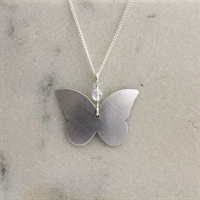 Tiny butterfly earrings on medium earwires in our Tartan print. 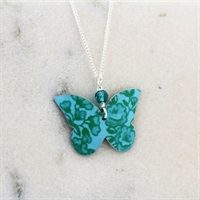 A large butterfly necklace in a pretty turquoise printed tin. 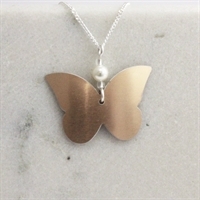 Copyright © 2019 Kate Hamilton-Hunter Studio. All rights reserved.